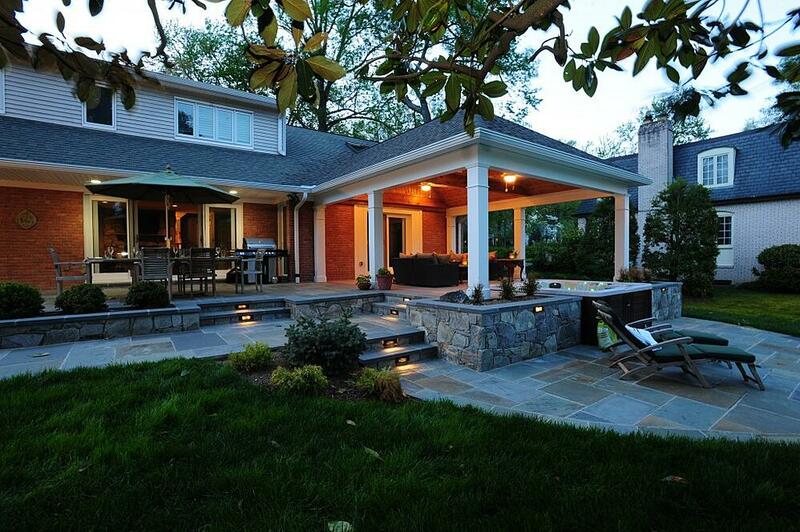 Exterior lighting is a great way to accent your new addition project. Adding pathway lights along the side of the patio, up lighting on plant beds, stair riser lights, and post lights are all great ways to create a warm and comfortable surrounding. Not only does exterior lighting help make your space beautiful, but it provides safety in dark areas and on stairs. For the relatively low cost, exterior lighting is a great security feature (you can see anyone or anything lurking about at night) that adds both practicality and class to residential paths.